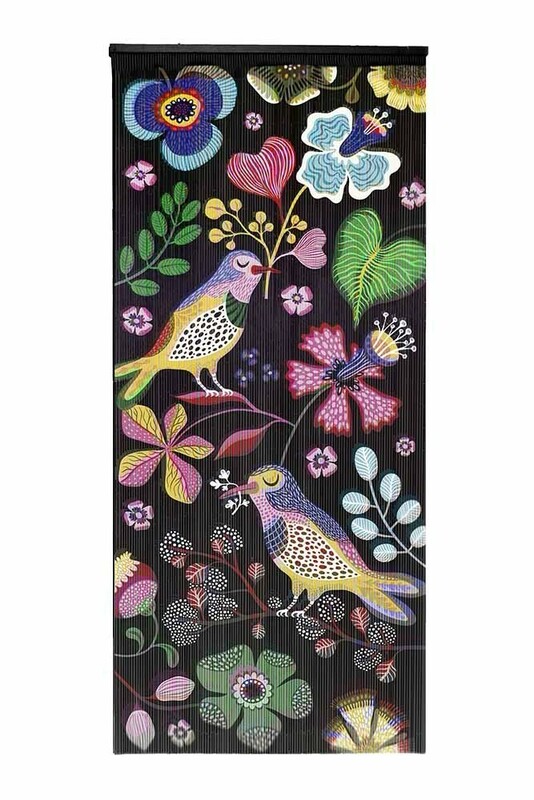 A vibrant addition to any space, the Bamboo Door Curtain with Birds & Flowers introduces playful pattern to the home with tropical birds and exotic flowers hand-painted on both sides of the bamboo curtain. Handmade in Vietnam, the Bamboo Door Curtain measures height 200cm x width 90cm and features 120 strings of bamboo, with each hand-painted to create a paradise of colour and pattern that will brighten up even the darkest of days of winter. 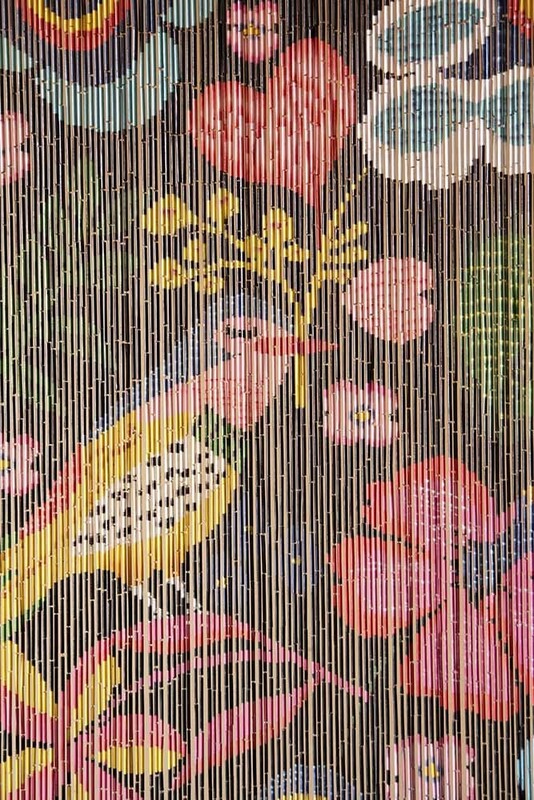 Capturing the spirit of the 70s, beaded curtains are back to make a statement and if you’re a fan of a more playful approach to colour then you’ll love the design of the Birds & Flowers Bamboo Curtain! Bursting with colourful character, the Bamboo Flower Door Curtain features a floral print with a touch of the tropics. Beautifully detailed, the hand-painted curtain features exotic birds, lush leaves and vibrant flowers in pink, blue and yellow tones that stand out against the black background. 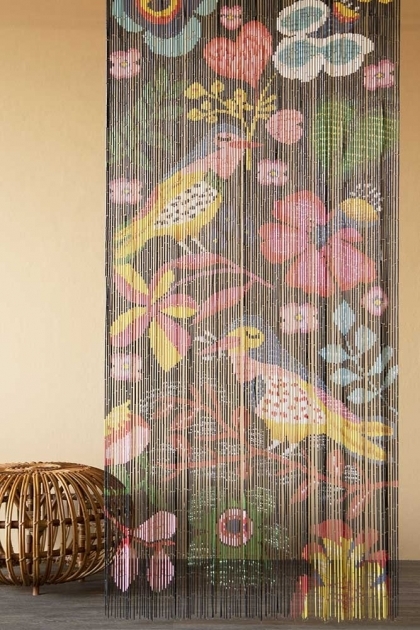 Ideal for use in place of a door, the Bamboo Door Curtain with Birds & Flowers adds instant impact and is an amazing way to divide two separate spaces – plus it’s way more fun to walk though! Full of creative colour and tropical pattern, we think this curtain would be a fabulous addition to any kids’ bedroom or playroom when hung across storage shelves or an open wardrobe for a unique style statement.